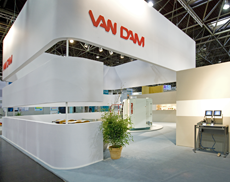 Van Dam’s Technical Support department is keeping a close eye on the performance of the machines. 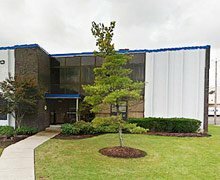 Our customers can benefit from field service programs, spare parts consult and technical training to ensure continuous output and to take full advantage of machine features. The branch offices and the agencies offer customer service support in almost every country in the world. 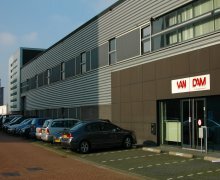 Our Technical Support is organized through our offices in the USA and Europe, this network guarantees that Van Dam always has up-to-date knowledge of our customer needs for support, enabling a quick reaction on changing market demands. Our technical hotline provides solutions for technical matters. 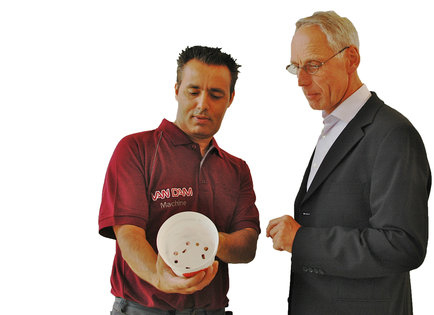 Experienced engineers quickly react on technical issues and provide information for trainings and/or preventive maintenance.As the machines of the last years are equipped with remote diagnostics, many of the technical issues can be solved quickly from our branch offices. However, if required, our service engineers will travel to our customers premises to solve technical issues. It is our vision that service is not only supporting in case of technical problems but more preventing the technical problems and so guarantee a continuous smooth operation of our machines.